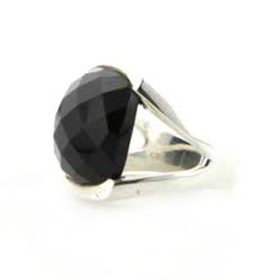 Dress your fingers in classic black and silver. 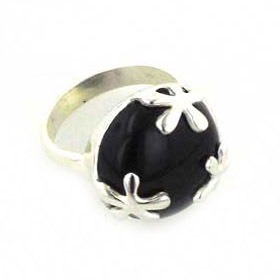 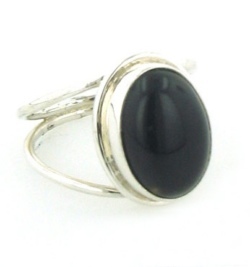 A black onyx ring has a classic flavour but the style can be anything but classic. 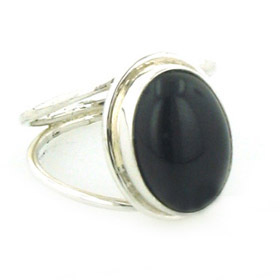 Don't stop at an onyx ring - check out all our black onyx jewellery and make up a black onyx set. 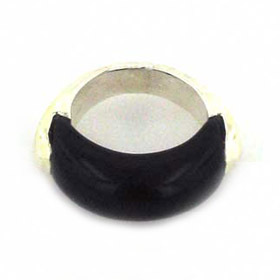 See also our red onyx rings. 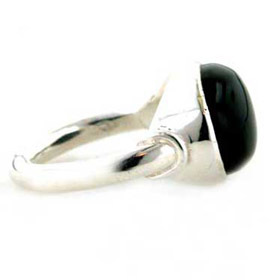 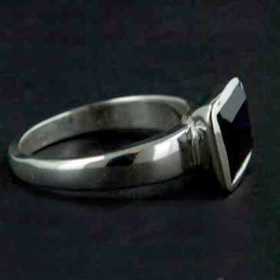 Black onyx ring with oval stone set into an open sterling silver band.